Chris Straley, oversees the work and organization of The Discipleship Ministry at The Church of Christ at Mountain View. He will be happy to help you get involved or further explain discipleship or The Discipleship Ministry. There are three levels of involvement in the Discipleship Ministry. Level One: Be knowledgeable about and pray for the ministry. Every week announcements are in the bulletin and on the screen and we must train our eyes and minds to absorb this information so that we are prepared to place people in ministries in which they can thrive. Knowing what is available is an important part of providing assistance to seekers. Level Two: Be knowledgeable about, pray for and support a friend/spouse currently involved in the ministry. Opportunities for encouraging our friends/spouses in their involvement in this ministry include: trading childcare, shouldering an extra evening home alone, cheerfully rearranging our schedules. 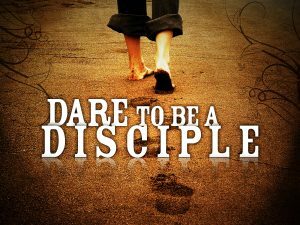 Help others achieve being disciples and making disciples. Level Three: Be knowledgeable about, pray for and participate in the discipling aspect of the ministry. Improve your relationship with God with daily quiet time tips, weekly lessons, weekly memory verse and prayer and someone who is holding you accountable to that every week. Improve your relationship with your family through a study of God’s Word on roles and responsibilities, having someone to pray with you for specific concerns and offer advice when able and by daily gaining wisdom from the Word. Improve your relationship with the Body by increasing your knowledge of God’s word and hiding it in your heart. 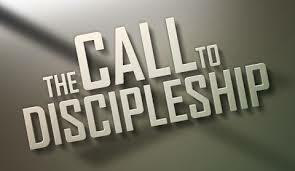 By personally being a disciple and making disciple you will help grow the Body. Improve your relationship with the lost by being able to answer more questions, gaining confidence in the Word, being energized about what you are learning/doing, having changes in your lifestyle that are evident and developing a discipleship mindset, trained to share instead of just absorb.